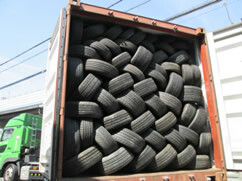 We export used tires and wheels from Japan, and travel anywhere in Japan to purchase them. Please feel free to contact us if you have tires and/or wheels for export. Waste aluminum wheels, waste batteries etc.